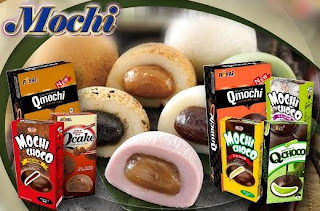 MetroDeal Reviews Philippines - Living Off Vouchers and Coupons: Can't get enough of Q-Mochi's delectable treats at a budget-friendly price from MetroDeal! Can't get enough of Q-Mochi's delectable treats at a budget-friendly price from MetroDeal! I've been a connoisseur for sweets and all kinds of desserts for as long as I remember. Desserts, like coffee makes me a one happy baby. It makes me elevate to places, and takes me to the heavenly abode. It's effect has taken me to places I've never dreamed of. Crazy as it sounds, but my addiction to sweets has never stop. It's been in my daily regimen and I think it'll never vanish. I love its effect on me, but I don't mind. Right now, I'm craving for japanese sweets for it has a distinct taste that I never found on other kinds of desserts. I've tried japanese cakes, mochis and pretzels in general. 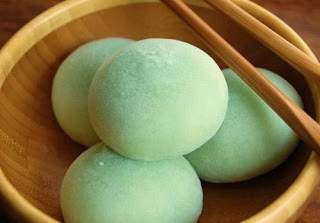 And right now, I saw this mochi cake that looks interesting to eat from a local supermarket in Taguig. It was from Q-mochi, a brand from Subaraya, Indonesia. I was surprised that there's a mochi brand that came not on Japan, but on the largest archipelago in the world. I think it's worth the try, knowing that it came from a place unknown for me. A friend of mine told me about this discount promo from Metrodeal – Q-Mochi's choco pie or mochi cake promo from Metrodeal sure looks delicious! I saw these awesome mochi cakes from the supermarket and it costs around 300 pesos, while in Metrodeal it only costs around 140 pesos, and I think it's a sweet deal! Without hesitations, I bought the deal and went to Market Market to claim the offer using my printed voucher and some identification cards needed to claim the sweet treat. And boy I tell you, the mochi cake is heaven on earth, I can hear the angels sing the Aleluia chorus after having my first bite! And even the mochi choco pie has the right kind of sweetness that I've been craving for. It was all worth it! Good thing that I bought 10 vouchers for this incredible Metrodeal promo, so that I could share this delightful treat to my friends and family. For sure they will be surprised on this amazing deal, and on this delectable treat from Indonesia.